Another August, another flood…this time, in Texas. I have the luxury of turning off the news, navigating away from the websites, filtering my Facebook feed, and going on with my life. I’m not going to lie, the temptation is there to do just that. After all, the need is immense, I’m over 2000 miles and an international border away, and the little I can do seems like a drop in the bucket. But I’m a big believer that when everyone does what they can, it will make a difference. So here’s where you come in! I knit a hat this weekend; it’s from 80% wool, 20% alpaca, in yarn that I handpainted myself. 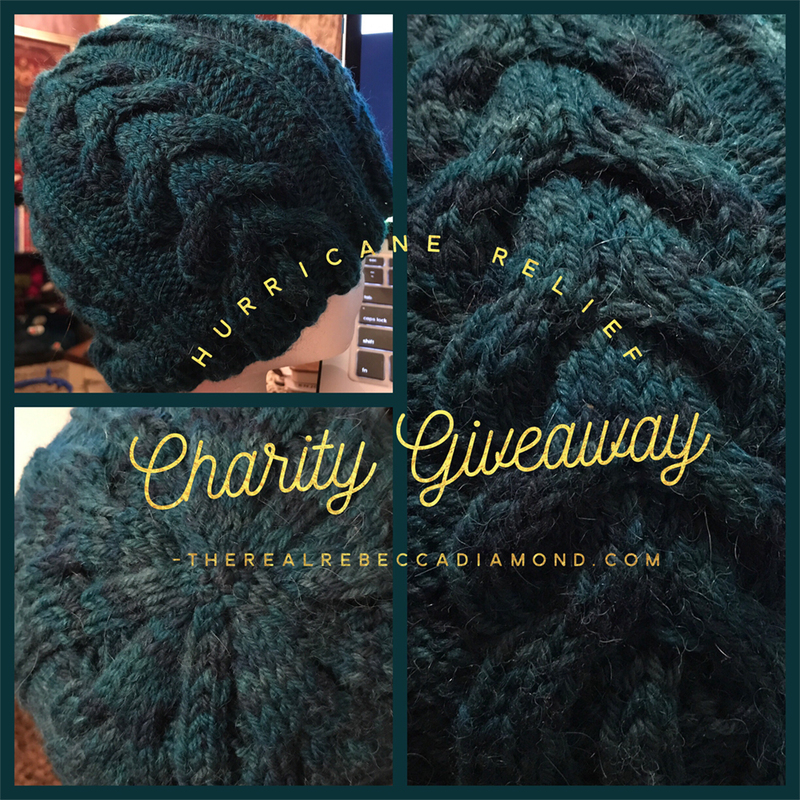 Instead of selling it to raise funds, I’m doing a giveaway – because every donation helps! The terms of entry are simple: make a donation, in any amount, to one of the charities listed. You can also donate in any amount to the charity of your choice, and if you can’t donate, then you can share this giveaway and still receive an entry. Your email address is collected when you enter, and will be used only to notify you if you win. I will not share, rent, sell, or otherwise distribute your email address to anyone, and you will not be signed up to any lists.